Model 002 of the Dojo Pro is named the 'butterfy' in Japanese due to the traditional butterfly motif on the tsuba, a direct copy of an actual Edo era antique. The tsuka/handle assembly itself is exceptionally tight and well put together, double pegged with silk ito wrapped over REAL rayskin, alternating in the traditional style to ensure it does not move or slip when used, and tightly bound to a quality wooden core. As you can see from the picture, these swords feature high end brass seppa (spacers) and habaki (blade collar) expertly fitted to the blade. 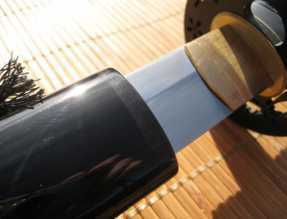 Hard wearing jet black synthetic sageo is used to tie the saya to your obi (belt). The saya (sheath) itself is thick and made from high quality wood, after all you don’t put hand cut and polished buffalo horn Kurikata, Koguchi and Kojiri on an inferior saya. These 1060, through tempered, no nonsense mono steelblades are exceptionally HONEST and RELIABLE. Today,I received a Ronin katana #2. I already have a 440 stainless steel wall hanger, so I began comparing. It's like night and day. The wall hanger is much more difficult to handle. 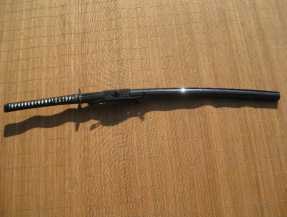 First, the rk has a longer handle, and a little narrower which makes pivoting much easier. It is fairly sharp, and handles nicely. 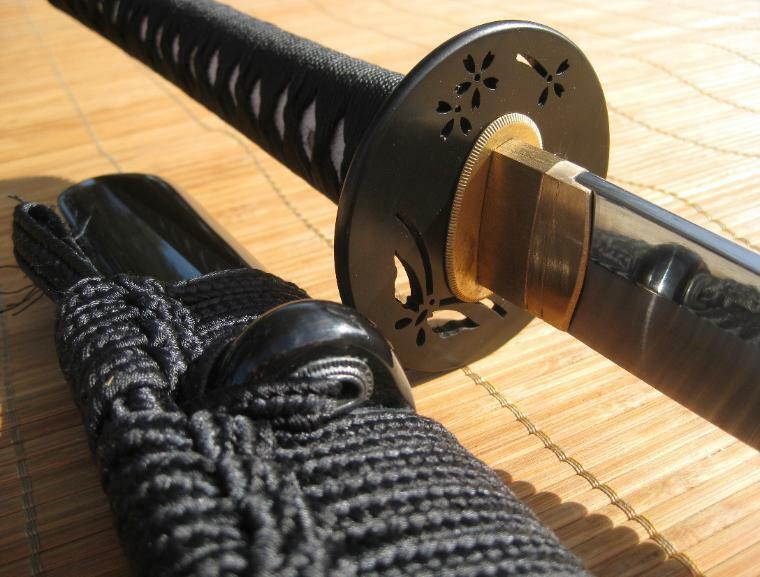 The rk has opened New doors of inspiration for me as a martial artist and a lifetime lover of swords. Although I do not intend to ever put it to the test cutting, I feel strongly that it will handle the job should it ever arise. I'm very excited to continue learning now that I have found this treasure. 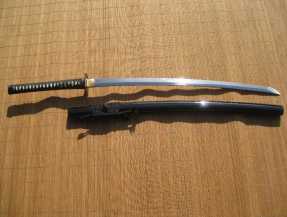 I also ordered a t10 Ronin katana custom. After watching many videos about destruction testing with the rk#2 I'm very satisfied. And very stoked to check out the custom rk t10. The bag it came in is a nice touch. The sword is well constructed, and is of good quality all the diamond shapes if the handle are uniform. The bladegeometry of the blade is uniform.